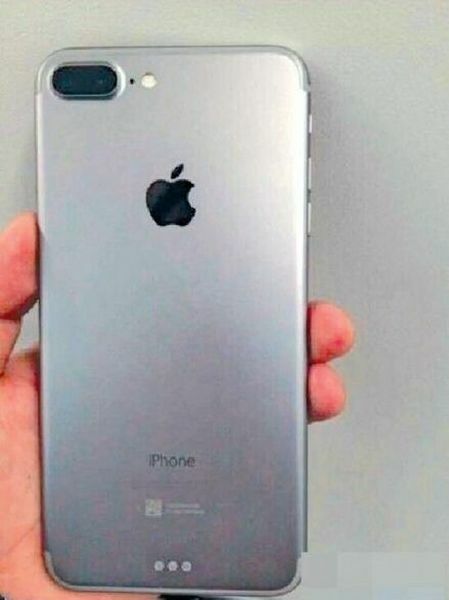 Chinese site Bastille Post (via MacRumors) has shared what appears to be the first image of the iPhone 7 Plus. As you can see from the image below, it supports earlier rumours of Apple adding a dual-lens camera to the next generation model. Instead of two round camera openings, the picture shows a protruding, pill shaped enclosure, under which the dual-lens camera supposed to be installed. Another noticeable addition are the three dots at the bottom of the alleged iPhone 7 Plus, possibly for Smart Connector. This is a rather interesting move, as the Smart Connector was introduced with the iPad Pro and is now rumoured to also be coming to the 9.7-inch iPad. While the connector brings various benefits such as transmitting data and power to accessories, it remains to be seen whether it will make it to the iPhone 7 Plus. 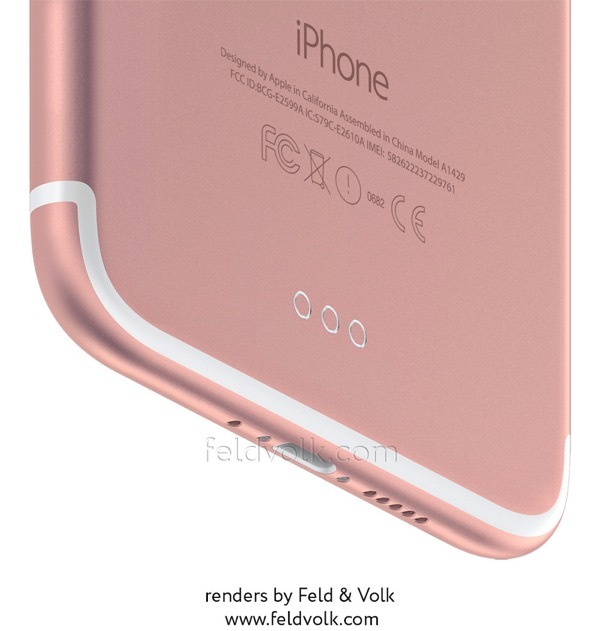 The guys over at Feld & Volk have also made some renderings, as they are making preparations to modify the handset as it appears on the market. Feld & Volk’s sources have been correct in leaking information about iPhone 6 and 6 Plus. The renderings were made based on their research and (unfortunately) they show the same protruding dual camera lens you can see on the leaked picture. Also, the Russian guys over at Feld & Volk say the next-gen handset will be only 6.1 mm thick (excluding the protrusion). 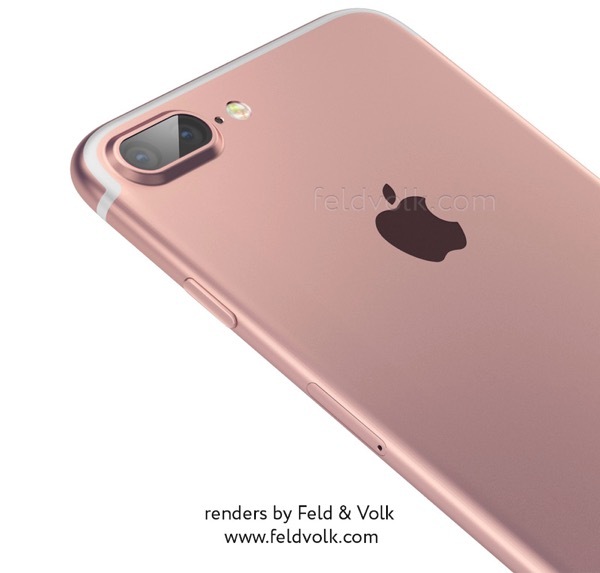 The leaked photo doesn’t show the bottom of the handset, but the Feld & Volk renderings reflect what the rumour mill has been spilling so far: instead of 3.5 mm headphone jack, there will be an all-in-one Lightning port on the iPhone 7.